Use a Walker's severed arm to play fetch or tug-of-war with your pooch! 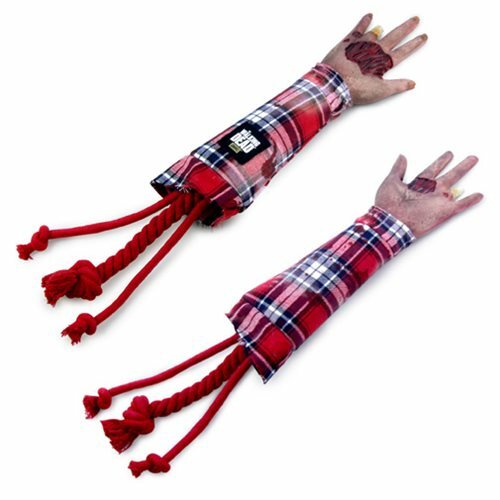 The Walking Dead Severed Walker Arm Dog Tug Toy is for light to medium chewers and even includes crinkle layered inside for added playability! Perfect for fans of The Walking Dead. Ages 13 and up.